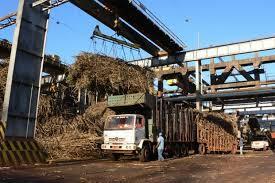 HYDERABAD: The office bearers of Sindh Abadgar Ittehad (SAI) have demanded the Sindh government to issue directives to Pakistan Sugar Mills Association (PSMA) to start cane crushing with immediate effect so that the growers could be able to sow wheat crop in time. According to the Sugar Cane Act, the cane crushing should be started in the province from the first day of the month of October every year, but the sugar mills association has taken no initiative in this regard, they said in a statement on Wednesday. They were also critical of the permission granted by the government to PSMA to export 0.5 million tonnes of surplus sugar with subsidy of Rs10.70 per kilogramme, adding that the association had moved such demand five months back when the sugar rates in international market reached USD 550 per tonne but the government granted them permission at a time when the rates had been reduced to USD 375 per tonne in the international market. “If the government initiates timely decision, the losses of billions of rupees to national exchequer can be averted,” they said. The SAI also announced staging a protest demonstration and said that they would approach the court if the government failed to start the crushing season with immediate effect, they informed. They also demanded that the Sindh government should issue the notification of support price on rice. The rice thrashing is on the peak in the province but growers are getting Rs700 per maund of their rice crop instead of Rs1200 per maund, they said and added that the issuance of notification of the support price could save the growers from losses of billions of rupees.